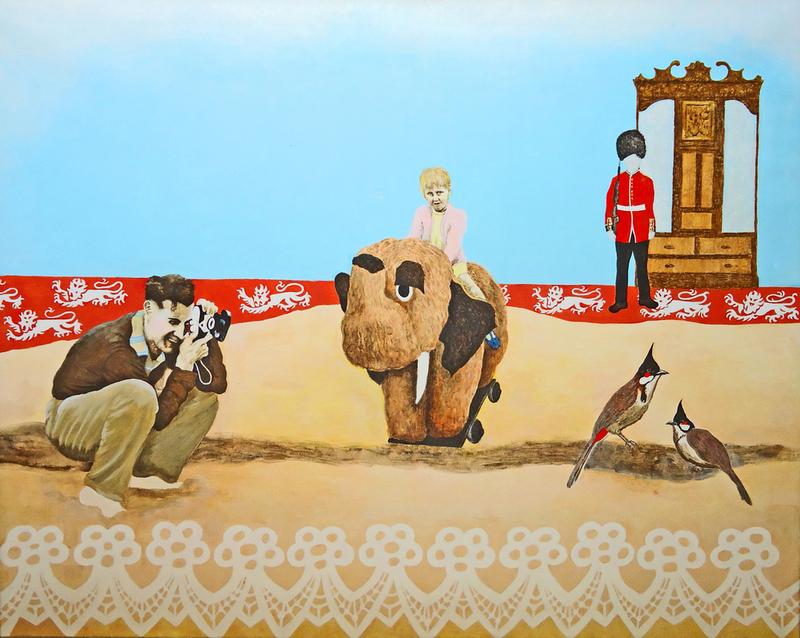 This piece explores personal origins and political-historical backgrounds, depicting images of my father in 1950 taking a photo on a beach with myself on a seaside toy, with a British soldier guarding a Victorian wardrobe (closet). This is inspired by my experience of being an English woman working in India for the last few years....Made as part of the project -"Melting Pot" I am organising-participating in - a 4 woman exhibition, travelling from India to Europe and back, looking at issues of cultural dynamics, identity, "home", and belonging. Canvas & acrylic.